Smart software for eye care. Speed to success means driving your business not just recording it. Health care today means not just running your business but running it better, with better solutions for optometrists and ophtahlmologists. In today’s challenging business climate and increasingly important EHR medical model, you need all the help you can get. Yet many software systems actually increase your workload, reduce your patient throughput and just convert paper work to computer work. Uniquely, activEHR speeds the success of your practice. Get a platform that consistently drives best practices across your business. Get a system that thinks the way you do, improves patient throughput and satisfaction. Get a true medical record that helps you improve patient outcomes and quality of care. Get software that drives your practice to greater success every day. 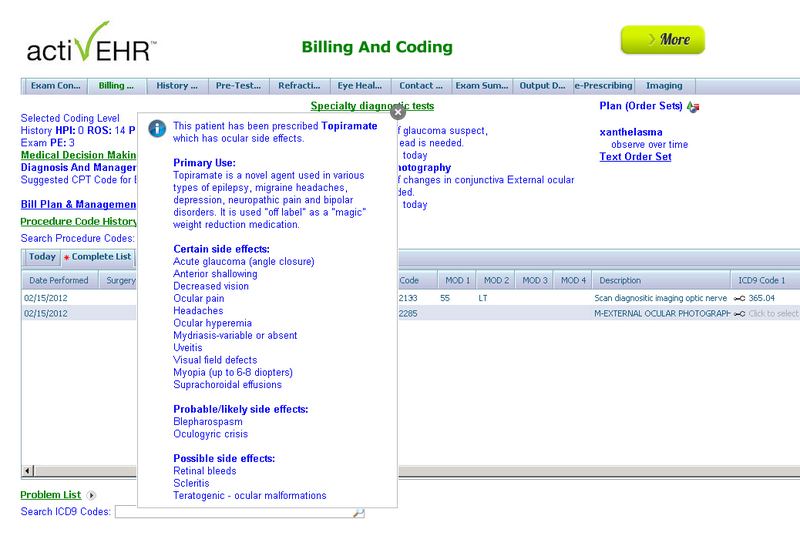 EMRlogic offers frequent end-user webinars focused on the efficient use of EHRs. Both current and prospective clients are welcome to attend. To learn more about the webinars or to see registration details, please click below. This Complete EHR certification is 2014 Edition compliant and has been certified by an ONC‐ACB in accordance with the applicable certification criteria adopted by the Secretary of the U.S. Department of Health and Human Services.